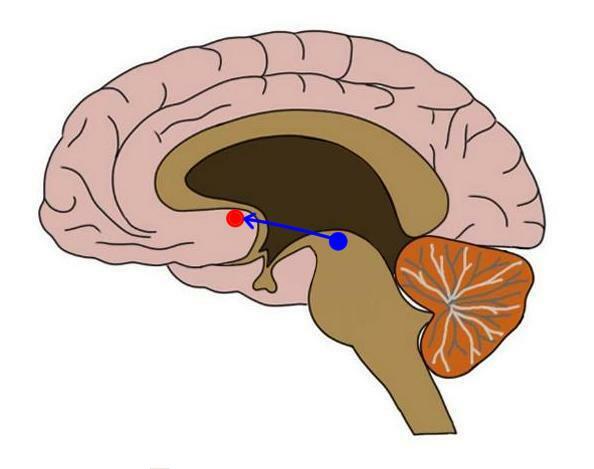 the mesolimbic dopamine pathway connecting the ventral tegmental area (blue dot) and nucleus accumbens (red dot). a collection of structures, including the nucleus accumbens and ventral tegmental area, that are involved in reinforcing behavior. The reward system is activated when we experience something pleasurable and is a major target of investigation for understanding the effects of addictive drugs.